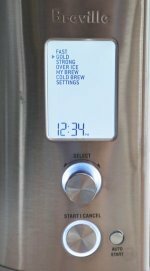 How to choose the best coffee maker and make gourmet coffee at home. How to make better gourmet coffee at home. 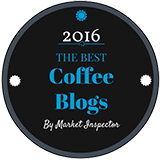 At Coffee Detective we take a common sense approach to helping you make the best gourmet coffee. Browse through these pages for help in choosing some wonderful gourmet specialty coffee beans, plus advice on buying the best coffee makers, single serve brewers and coffee grinders. The brewers that coffee professionals use at home. 7 Delicious cold coffee recipes. 9 Amazing alcoholic coffee drinks. Alcoholic coffee drinks recipes for after-dinner treats. If you have the liqueurs and the coffee, we have the recipes. Coffee as part of a healthy lifestyle. Try a home delivery coffee club. How-to tips for making great coffee. How to measure coffee to make the perfect brew. Choosing between dark and medium roast coffees. 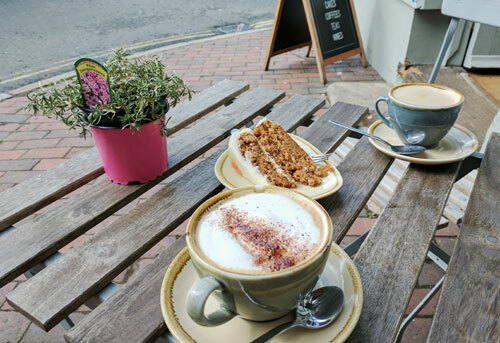 A coffee each and a carrot cake to share. 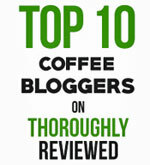 A few coffee topics our readers are asking about. Drip or percolated coffee - Which is best?